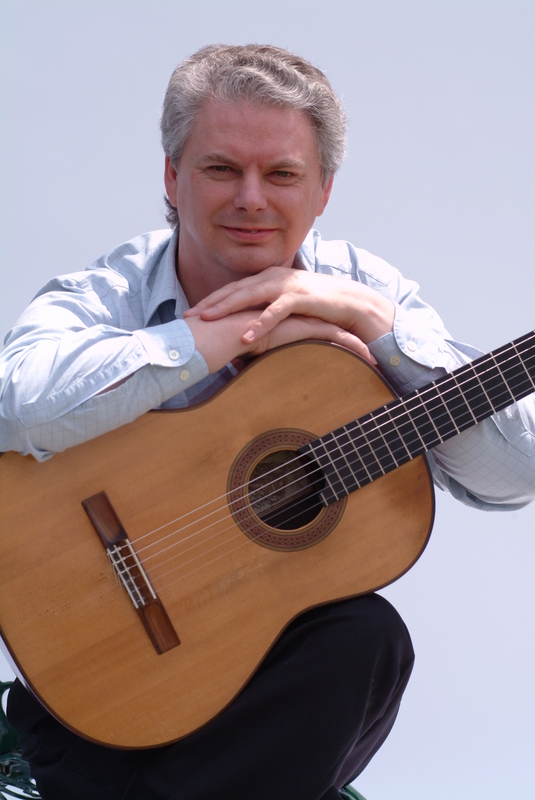 Raymond Burley is one of Britain's most experienced guitarists having performed solo concerts, concertos, on film scores, radio, and television and in virtually every possible guitar ensemble combination. As a soloist he has toured extensively throughout the UK, Europe, the USA, South America, Canada and the Far East, and has appeared many times at London's Wigmore Hall, the South Bank Centre's Purcell Room, and Birmingham's Symphony Hall. Raymond has been featured on BBC Radio, and worked with many of England's foremost orchestras including the BBC Symphony, the Philharmonia, the English Chamber Orchestra and the Royal Philharmonic. Raymond has premièred many new works by composers that include Stephen Dodgson, Bernard Stevens, Reginald Smith Brindle, John Duarte, Raymond Head, Edmundo Vasquez, Richard Stoker, James Patten, Gilbert Biberian, Dudley Moore, Bryan Kelly, Elis Pehkonen, Christopher Wright, Timothy Bowers, Tom Eastwood, Colette Mourey, Mark Houghton, Jerome de Bromhead and John Scott. For several years he performed and broadcast with harpsichordist Stephen Bell; many established composers were enthusiastic about the combination and wrote works for the duo, helping to create a more substantial repertory. 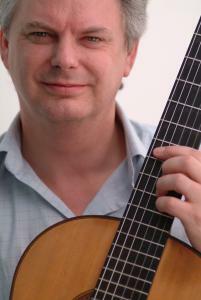 He now performs with harpsichordist Richard Leigh Harris. Between 1988-95 Raymond worked in a duo with American guitarist Alice Artzt and – based in New York City – he was also a member of the Alice Artzt Trio. He has also performed and recorded with mezzo-soprano Jacqueline Fox, worked in guitar duos with John Mills, Gilbert Biberian, Gregg Nestor, John Feeley and the jazz guitarist John Etheridge, flautists Chris Britton and Jennifer Stinton, steel string guitarist Clive Carroll and keyboard player Rick Wakeman; he is currently a member of the Rodrigo Guitar Trio. Shortly after its release, the trio's second CD, Danzas Fantasticas, was Henry Kelly's 'CD of the week' on Classic FM. This CD was released under the trio's former name, The New Pro Arte Guitar Trio. Raymond has performed with violinist Michael Bochmann, the Bochmann String Quartet, flautist Jennifer Stinton, percussionist Keith Fairbairn and given mixed programmes of poetry and music with the late Dame Peggy Ashcroft. He is also in great demand as a teacher and has given master-classes and directed guitar workshops, festivals and summer schools throughout the UK and in Dublin, Vancouver, Ottawa, Toronto, Calgary, Seattle, San Francisco, Salt Lake City, Washington DC, New York, Princeton, Bremen, Bonn, Rotterdam and Lima. 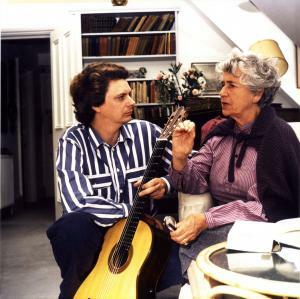 Raymond has many guitar arrangements to his credit; the publishers include Schott, MSM, Southern Guitar Productions, RGT Publications, Lathkill and Corda (UK), Arpeggione (Switzerland), Durand (France), AIG (USA) and PWM (Poland). He has also edited a large number of music albums for Schott. Go to the Published Music pages for information about Raymond's many publications. Raymond is a regular contributor to the bi monthly magazine Acoustic. Raymond supports a number of charities including Amnesty International and the Duchess of Kent's musical charity Future Talent. Many people have asked why Raymond Burley isn't featured more on Youtube - this will shortly be remedied with guitar duets by Carulli, Poulenc, Telemann, Brouwer, Ginastera, Mertz, Machado and Granados, played by Raymond and John Mills. There will be many other items (duets and solos) following shortly.